Mazda 6 Advice: Should You Install Run Flat Tyres? The third generation Mazda 6 is now with us, and the entire range is supplied with excellent tyres that have been fitted at the factory. It’s fair to say that using Original Equipment (OE) for repairs and replacement is almost always the best choice. This will keep the car as close as possible to Mazda’s design ethos and engineering tolerances. When it comes to tyres, it’s not always possible to get the exact same set, and a close match may have to suffice. Tyres wear out, and when they need to be replaced, it’s natural to look at all the options available. In recent years we have seen run flat tyres become more widely available, but some drivers may not fully understand how they work. This technology was initially developed for lighter military vehicle in WW2. They had a crude bullet proof lining to help keep the tyre inflated for a fast getaway if the occupants came under enemy fire. The prices were prohibitive for the civilian market, but the technology slowly developed over the years for the security industry. From the 90’s onward it wasn’t that unusual for politicians, rich businessmen, and other potential targets to travel in cars fitted with run flat tyres. Now, this technology has matured even further, run flat tyres are cheaper, making them a viable option for drivers. Bridgestone has stated that there are two main types of run flat tyres in common use today, they are: support ring and self supporting. Support ring tyres have a separate ring of hard rubber that is used when the tyre is deflated. A self supporting tyre has a reinforced sidewall that can hold its form even when the tyre deflates. Both of these run flat tyre types are now a common option in Europe for car manufacturers, such as Mercedes, Lexus, Audi, and BMW. Should You Install Run Flat Tyres? This is largely down to personal preference. You could install run flat tyres on your Mazda 6 sedan, but there are a few key considerations. Many tyre manufacturers, such as Continental, Michelin, and Pirelli, make run flat tyres that are broadly similar. However, these tyres are not cheap, and the most economical choice will always be a more conventional tyre. If you’re intent on installing run flat tyres, many experts recommend that you only fit them to cars with a tyre pressure monitoring system. A Mazda 6 has this, and this will be vital because run flat tyres have a speed and distance limit that you will need to monitor closely. If they are considering a Mazda 6 for sale, Perth based drivers should get in touch with us at Melville Mazda. 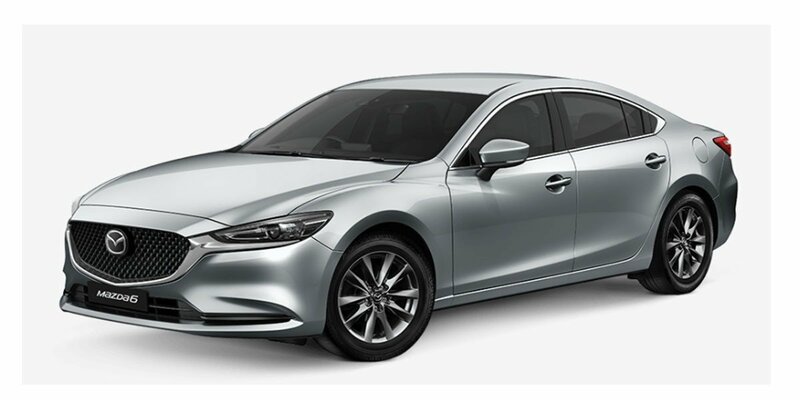 We offer a massive selection of new, demo and used cars available for sale including the latest Mazda 6 models. We invite you to schedule a no obligation test drive with us online, and you can try out the Mazda 6. Perth car buyers that need finance will discover that our rates are competitive and the repayments will be tailored to suit their needs. Our sales team is standing by to offer advice on our latest hot car deals, and they will be happy to answer any further questions that you may have.